Marine Rescue Watchkeepers Colin Couper and Sarah Charters Photo by by Tony O’Donnell. MARINE Rescue Port Stephens has had a busy year in 2018. Marine Rescue work with the Rural Fire Service and the NSW Water Police. In 2018 Marine Rescue Port Stephens boats were tasked 105 times to assist other vessels in distress. The Marine Rescue vessels like the radio base are manned by volunteer crews with some members on 24 hour call out for at sea rescues. During operations in 2018 the radio base managed 255 marine incidents and made and received a massive 15,900 radio calls. These calls can be anything from a radio check to a vessel reporting its departure or arrival into port and onward destinations. The volunteers in the radio room also made and received 16,100 phone calls and managed 1100 Rural Fire Service communications. Marine Rescue Port Stephens manages communications for the Rural Fire Service (RFS) Hunter Valley and Lower Hunter Valley at night time. Marine Rescue Port Stephens need to raise money to keep their boats fully equipped and safe for rescues and their crews trained for all contingencies. 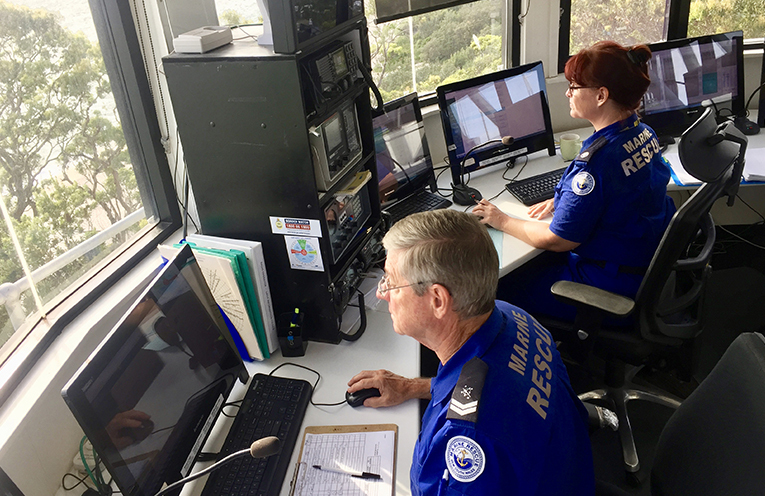 Unit Commander of Marine Rescue Port Stephens told News Of The Area, “The Radio Room at Marine Rescue Port Stephens operates 24/7, 365 days a year providing an essential monitoring service for all recreational vessels. “To keep our Base open and have 2 Rescue Vessels on the water our Volunteers also need to raise over $160,000 per year to cover our operational and vessel replacement costs. “In addition, we currently need to replace the floating Dock at Nelson Bay Marina and initial estimates for this work are $60-70,000. “We definitely need financial support from the community to ensure that this important project can proceed and enable our Volunteers to continue to provide this essential service,” he said.